Explore a Wide Range of Paid and Unpaid Internships & Co-Ops – Paid and Unpaid! But you may not be entirely sure what one is, or what to expect. The truth is internships come in all shapes and sizes. Whether it’s paid or unpaid, for credit or experience, the range of skills that you will gain from an internship job opportunity is great. Most students aren’t aware of all of the elements that do into a successful internship. This website is designed to give you all of the information that you need to be a successful intern. So what exactly is an internship? An internship is an on-the-job learning experience, where students, new professionals or career changers learn the ropes of a career-field while working full- or part-time. Interns generally perform entry-level tasks while taking part in skills development activities as part of the internship experience. Some internships are paid, while others give you college credit. You may ask yourself, why bother getting an internship? Why not just get a paying job? An internship is more than just a way to develop skills; it is the first step in growing as a professional. Through the process of researching potential internship positions or internship programs, writing your resume, interviewing and working, you’ll take the first steps into becoming more responsible, becoming more independent and figuring out what kind of career you might want to ultimately pursue. We provide internship descriptions as well as advice for pursuing intern opportunities. Using our Job Board you’ll be able view hundreds of employer profiles and search a list of Featured Internship opportunities. Find a Great Internship Opportunity! A detailed guide full of up-to-date information about finding a great intership. Many of your pressing questions will be answered. (includes detailed overview specific industries & the work; insider tips on how to find interships; interviews with employers; and more!). Hundreds of great internships posted on our job board. Internship opportunities all over the world. Pay and benefits information. Find out which types of jobs frequently include room and board or even travel reimbursement. InternshipFinder can help you find the internship that best suits your personal profile. Search internships and find and apply for the jobs you are interested in. Free Job Alerts – We’ll deliver the latest internships, co-ops, and fellowships to your email inbox daily! Internship job search guide explaining how to find, apply and interview for internships. Job postings from employers that need interns right now! InternshipFinder can help whether you’re looking for a summer or year-round internship, paid or unpaid. Figuring out where to look, or even how to start looking is often the most difficult part of finding and landing your dream internship. While the Internet is a great place to get started, it isn’t the only place to look. It is important to take a look at who you know, who your friends know and even your family members, all of whom can help you land an internship. An internship is also beneficial to the company or organization for which you are working. In addition to providing free or inexpensive labor, you are able to bring fresh ideas and energy to the business, and might be called upon to give your opinion on some aspects of the business. 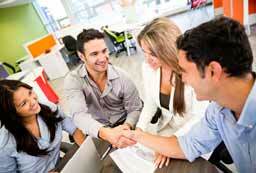 In fact, many companies that hire interns rely on them to fulfill essential functions of the office. For example, a publishing or editorial intern could be responsible for reading manuscripts and deciding what books get forwarded to editors. This is a big task that you might be more likely to get as an intern than in an entry-level. This difference between internships and entry-level jobs is important to think about during your internship search. Most people get internships during the summers between college semesters, or immediately following college graduation. Very often, the internship will lead to a full-time career in the field, or even at the same company as your internship. After all, isn’t that the point of getting an internship in the first place? We provide answers to these questions and much more. What you learn on InternshipFinder will set you apart from most other job seekers. We will provide you with a game plan for getting the internship that’s right for you, and proven strategies on how to be successful once in the door. Quickly find new job summer job opportunities. It’s easy when you use our JobCenter! Also, discover interesting employers you might not know about, and post your personal profile to gain visibility. Let us open your eyes to a variety of great internship possibilities. Explore a variety of industries and internships that you may not have ever considered. Read our detailed employment content, search job postings, get job search advice, watch videos,and more. It is now 100% FREE!